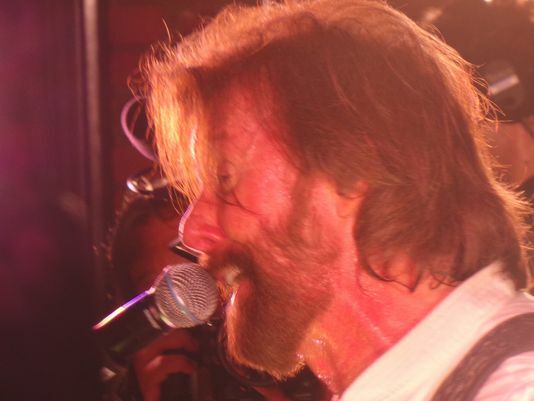 NASHVILLE — Ronnie Dunn surprised country music fans leaving the CMT Music AwardsWednesday with a surprise set from the rooftop of a nearby restaurant. Dunn, formerly half of Brooks & Dunn, played four songs, including new single, Kiss You There. Video of the performance was projected onto the walls of Rippy’s and two other nearby venues, Tootsie’s Orchid Lounge and Honky Tonk Central, while Dunn’s Twitter handle and hashtags for Kiss Thisand another song, Country This, were projected onto the roof of the Ryman Auditorium. Dunn opened his set with Country This, streamers shooting into the streets below. As he sang Kiss You There, a flash mob of more than 200 began line-dancing in the middle of Fifth Avenue South, between Rippy’s and Bridestone Arena, where people were leaving the awards show. After his final songs, Cowgirls Rock ‘N Roll and Peace, Love and Country Music, Dunn shot T-shirts into the crowd.